World number 19 India will now compete in the Zone Group action later this year. Kolkata: India lived up to their reputation in doubles but that was not enough as Italy secured a 3-1 triumph after winning the first reverse singles on Saturday to storm into the first-ever Davis Cup World Finals. 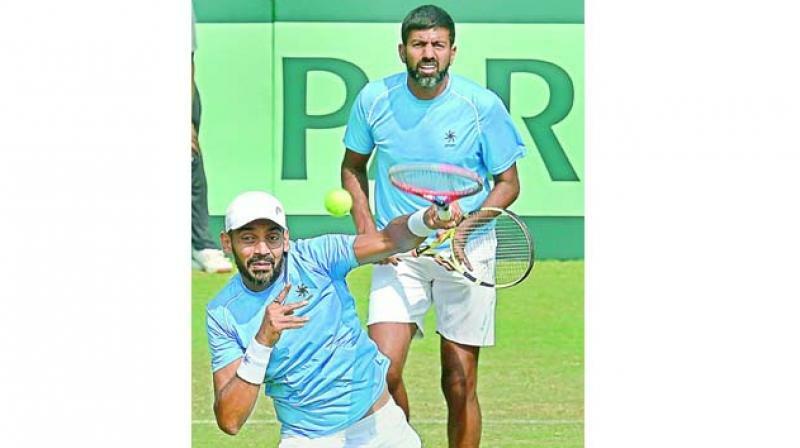 Trailing 0-2 after losing the opening day’s singles rubbers, doubles pair of Rohan Bopanna and Divij Sharan kept India’s slender hopes alive by beating Simone Boelleli and Matteo Berrettini 4-6, 6-3, 6-4 in an one-hour 43 minutes battle. On a career high ranking of 102, Prajnesh had no chance in the first set and though the left-hander gave a better account of himself in the second set a share of 40 unforced errors dashed his hopes. World number 19 India will now compete in the Zone Group action later this year. Italy boast of three players inside top-60 but no Indian feature in the world’s top 100 and Bhupathi said the country need to do a reality check after the loss. Having got a first-round bye, India advanced to the World Group play-offs after defeating China 3-2 in the Asia/Oceania Zone Group I in Tianjin. They lost to Serbia 4-0 in the World Group play-offs in Kraljevo to be drawn against Italy who lost to France 1-3 in the quarters in Genoa. In the must-win rubber, Bopanna and Sharan upped the ante by breaking newcomer Berrettini in the fourth game of the second set before sealing the issue. Making a comeback for the first time since 2012, southpaw Sharan complemented senior pro Bopanna and wrapped up the match with a forehand volley winner in the end.